Mac McCorkle runs a bar and helps out his partner, who is a agent with the CIA. When McCorkle took his life savings and began to open a small pub in Bonn, Germany, after being discharged from the army, he wasn't looking for a partner. That didn't stop Mike Padillo from dropping in, handing him a check for half the value of the place, and telling Mac he could either accept the offer or see the opening delayed forever in red tape. Knowing he really had no choice, McCorkle accepted gracefully, albeit unhappily. To his credit, Padillo, forced by his own superiors to make the extortion, had the decency to be embarrassed. So began the partnership between the two men, one that would quickly turn into a life-long friendship. Mike Padillo worked for the government (probably the CIA). When not on assignment, he helped run the bar, which grew over the years in success and made both a considerable amount of money. But every couple of months, he would show up, tell McCorkle he'd be gone for a while, and a week or a month would go by with him gone. Such was the basis for the series which probably was never meant to be one. The ending of the first book made it pretty clear that was it. 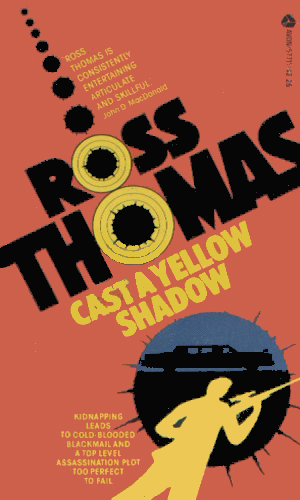 Then the book won for Mr. Thomas an Edgar for the best first novel of 1966. I'm sure that's when the publishers began to demand a sequel. The sequel came the next year but this time Mr. Thomas apparently withstood the pressure for more and used his incredible talent on other ideas. 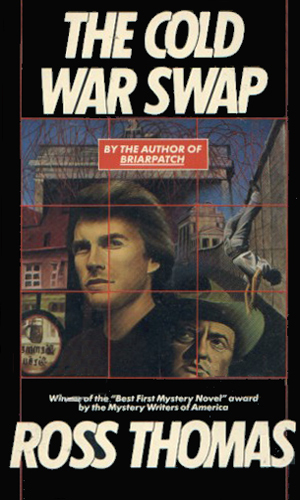 Six books, including three in a different non-spy series followed before the pair of McCorkle and Padillo were heard from again. And then it would be 19 years more before the last in the series was written. 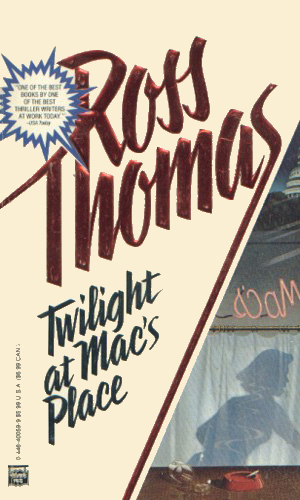 Through the years, the two unwavering qualities of this series remained the close friendship between McCorkle and Padillo and the terrific writing skills of Ross Thomas. McCorkle discovers that his friend and partner has been sacrificed by his superiors in an exchange with the Soviets to get back two defectors. He realizes he is the only one willing to risk it all for Padillo. Happily married and living in Washington, McCorkle would have been happy to meet his old friend Padillo if McCorkle's wife had been kidnapped to force Padillo to kill someone. Long out of the game, both men are less than anxious to help protect the future king of a country rich with oil but Padillo owes a huge favor to the ones doing the asking. The death of a CIA agent didn't raise too much of a fuss until it is learned he wrote a tell-all book which someone wants buried, possibly along with the agent's son who might have it. The son asks Padillo and McCorkle for help. 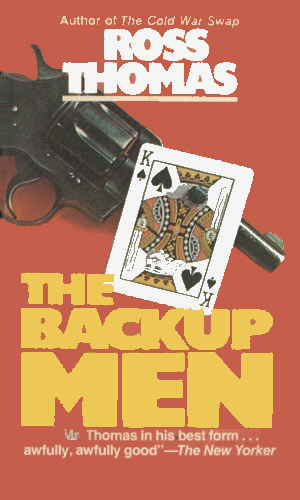 A fellow spy-fiction fan and friend of mine was almost jumping for joy when he got his hands on "The Backup Men" in 1972-3, shouting, "They're back! McCorkle and Padillo!" You would have thought I'd slapped him by his expression when I asked, "Who?" After having the first book literally thrust into my hands later and reading the first few pages, I knew I'd never have to ask that question again. I was as hooked as my friend (thank you, Bob Walker, wherever you are!). It isn't hard to understand why anyone who likes spy-fi would love this series. Mr. Thomas's skill as an author are without a doubt. The man won TWO Edgars. Most writers don't win any. He had two. And deserved them both handily. Furthermore, the characters are awesomely interesting and developed, the style is both exciting and wry, the locales are perfectly presented, and the plots just make sense. What more can you ask for, except more adventures. Unfortunately, Mr. Thomas' passing makes that impossible but I like to believe that McCorkle and Padillo are still out there, serving drinks and saving the day.